Swan Valley Idaho, ID - Welcome! 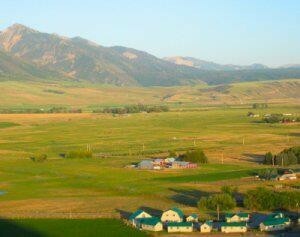 The area known as Swan Valley, Idaho is only 45 miles to the west of Jackson Hole, over two very scenic mountain passes. 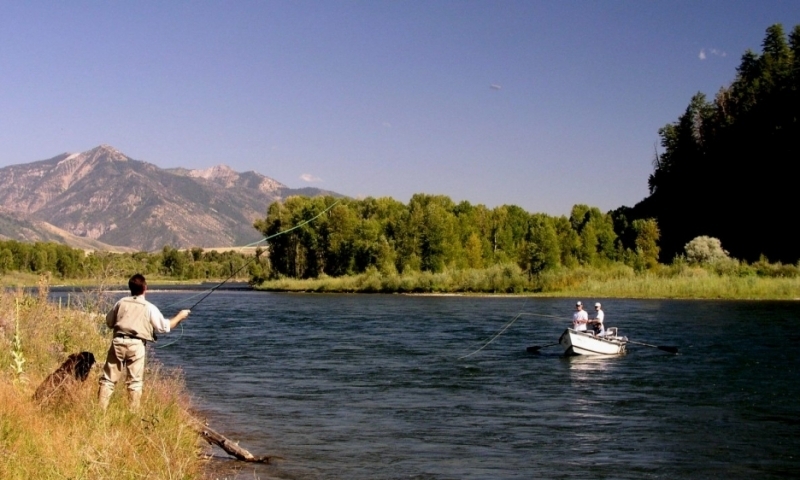 Swan Valley, Irwin and Palisades comprise the scenic communities that nestle along the banks of the South Fork of the Snake River, one of the premier dry-fly fisheries in North America. With the Big Hole Range to the north, the Caribou Mountains to the south and the Palisades Range to the east, splendid panoramas abound and year-round outdoor activities are a magnet for sportsmen and adventurers. The beginning of the area known as Swan Valley can be found at the junction of Highway 31 and Highway 26 in eastern Idaho. Highway 26 travels through a vast valley and around the edge of Palisades Reservoir before coming to Alpine, Wyoming. There are two routes from the Swan Valley ID area to Jackson Hole. One takes the traveler over Pine Creek Pass to Victor and then on to Jackson, a distance of approximately 45 miles. The other route takes the traveler to Alpine on Highway 26 and then through the Snake River Canyon to Jackson, a distance of approximately 65 miles. It is a wonderful scenic drive to take the loop in either direction – either starting at Jackson, traveling to Swan Valley via Victor, Idaho, on to Alpine and back to Jackson or taking the route to Alpine first. Resort-style accommodations and a variety of restaurants and eateries also are available year-round to meet the needs of tourists, trail riders and outdoor enthusiasts. Idaho's Swan Valley truly is a valley for all seasons and opportunities to float, fish, camp, hunt, hike, trail ride, cross country ski, snow mobile, snowshoe and just play in the great outdoors can appeal to the desires of any outdoor recreation enthusiast, regardless of age. This fun local rodeo is held twice a year on a local rancher’s property. It is real old west family fun. The South Fork begins as it flows out of 20 mile long Palisades Reservoir forming a 64-mile stretch of legendary tail-water fly-fishing The South Fork is also a beautiful river for flat water rafting, canoeing and kayaking. If you float this river in a canoe, know what you are doing as it is big water and its flat-water appearance can fool you to its dangers. The reservoir is nestled between the Snake River Range and the Caribou Range and is a beautiful setting where wildlife thrives in abundance. As explained before under the heading “Location” there are two routes from the Swan Valley area to Jackson Hole. One takes the traveler over Pine Creek Pass to Victor and then on to Jackson, a distance of approximately 45 miles. The other route takes the traveler to Alpine, Wyoming on Highway 26 and then through the Snake River Canyon to Jackson, a distance of approximately 65 miles.